Kamaiyah has been frustrated this year. After releasing her breakthrough tape, A Good Night in the Ghetto, in 2016, she signed to Interscope Records, hopped on a song with Drake and YG, and appeared in a bizarre Sprite ad campaign. But like many other talented-beyond-their-years artists who are signed to major labels, her follow-up album keeps getting delayed. She was supposed to release Don’t Ever Get It Twisted, her second mixtape with the amazing artwork, back in April. Nothing’s materialized in the months since then, save for two singles and videos. 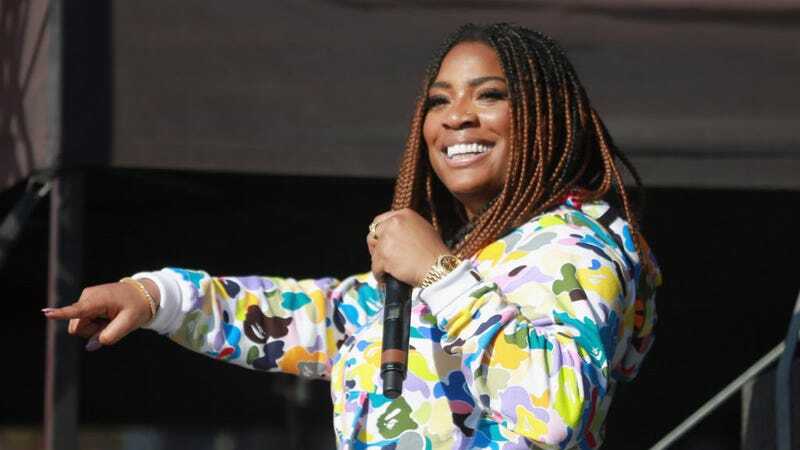 Kamaiyah has chalked it up to sample clearance issues, through routine Twitter updates. But last night, she took matters into her own hands and dropped a new mixtape without warning. It’s called Before I Wake, and it also has striking artwork, but it doesn’t seem to be the same thing as Twisted. (Neither single from earlier this year—“Build You Up” and “Successful”—are on the tracklist.) Still, on first listen, it sounds like more than just an appetizer. This is the same effortless, infectious Kamaiyah we fell in love with on Ghetto. It’s getting cold, but this is for summer drives with the top down. Hopefully this opens the floodgates for more, instead of saddling Kamaiyah with another year of frustrating delays. Stream Before I Wake and read her full statement below.